One of my favorite things about parties is the abundance of finger food. I don't know what it is, but I love just being able to eat stuff with my hands in quick little bites and not have to deal with a plate or a fork. Cookies are great for such occasions, but you know what are even better? 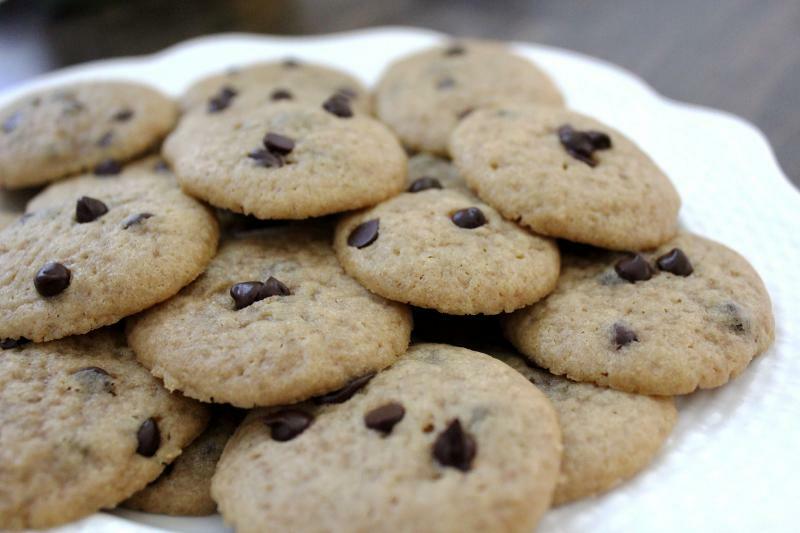 Mini cookies. You an just plop one right on in your mouth without having to take a bite and risk crumbs falling down your shirt (I hope I'm not the only one). And there's nothing more classic than a chocolate chip cookie gone miniature. They're cute and delicious and you won't realize how many you've actually eaten because they're so small. And I suppose if you have some little ones running around, they're even better. Because we all know the little ones are crumb monsters. 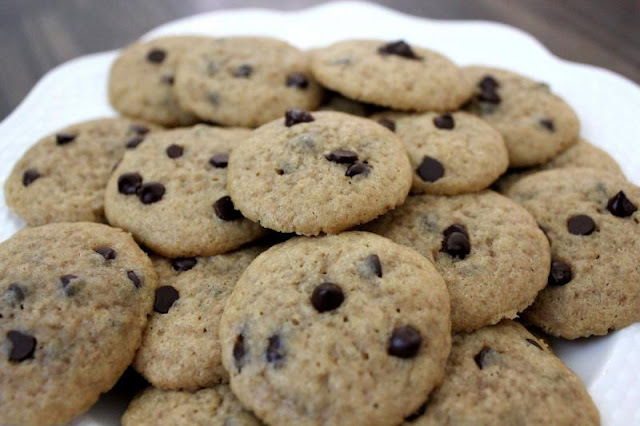 The only problem with these is that they aren't quite as easy to make as regular chocolate chip cookies - mostly because of the small size. I don't know about you, but I don't have a little mini scooper thing, so having to use a teaspoon and then roll them out by hand was just a tad on the time consuming side. Now, if I did have a scooper in the right size, these would be even easier than they are now. I also am not sure I agree with this particular recipe's call for melted butter, so you may very well want to try softened butter instead of melted, or even stick the dough in the fridge for 30 minutes before you start scooping it out onto your pan. Just some tips to try! They do come out tasting good without doing those things as well, it's all just a matter of preference! 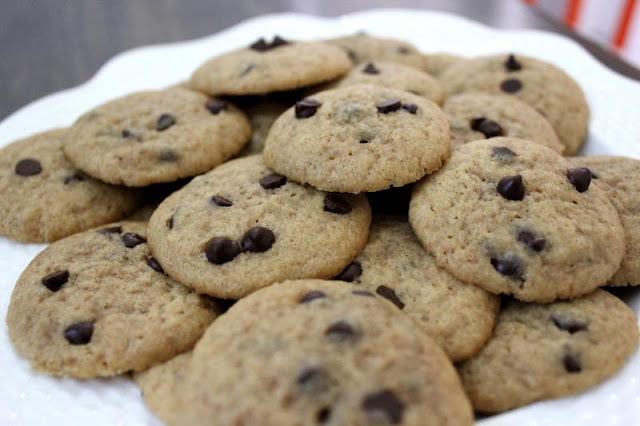 Mini chocolate chip cookies - for when you want something sweet and bite-sized! In a medium bowl, whisk together the flour, cornstarch, baking soda and salt. Set aside for now. 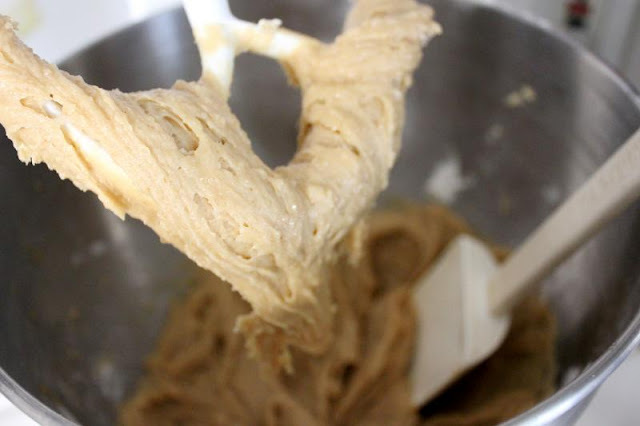 In your mixer fitted with the paddle attachment, beat together the butter, brown sugar, and granulated sugar. Mix on medium until combined. Beat in the egg and vanilla extract until well-combined. 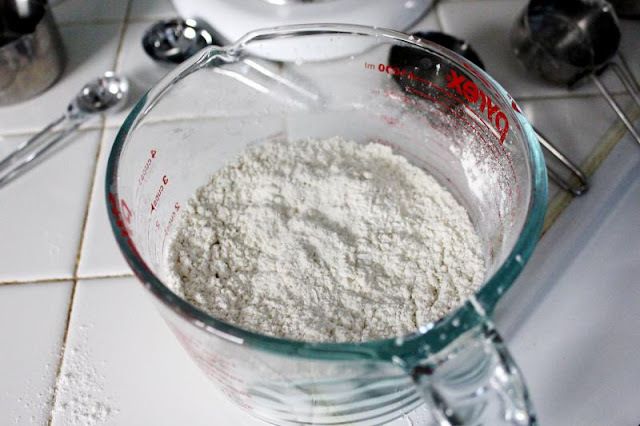 With the mixer on low, slowly add in your flour mixture and mix until just combined. Don't overmix here. Then stir in your chocolate chips. Scoop dough out in heaping 1/2 teaspoons. 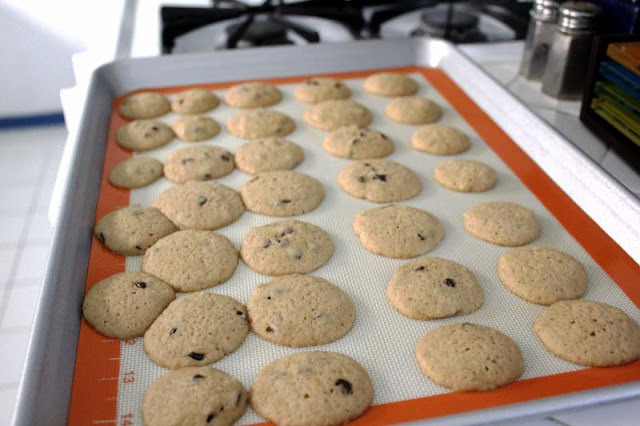 Shape into balls and place on a parchment or silpat-lined baking sheet, spacing each cookie 1 inch apart. You can also press in a few more chips on top of the cookies to make them prettier. Bake in your oven for 5-6 minutes. They'll be a little soft still; let them sit on the pan for a few more minutes to continue cooking, then transfer to a wire rack to cool completely. Beat together your wet ingredients, then slowly mix in your dry and you get this. 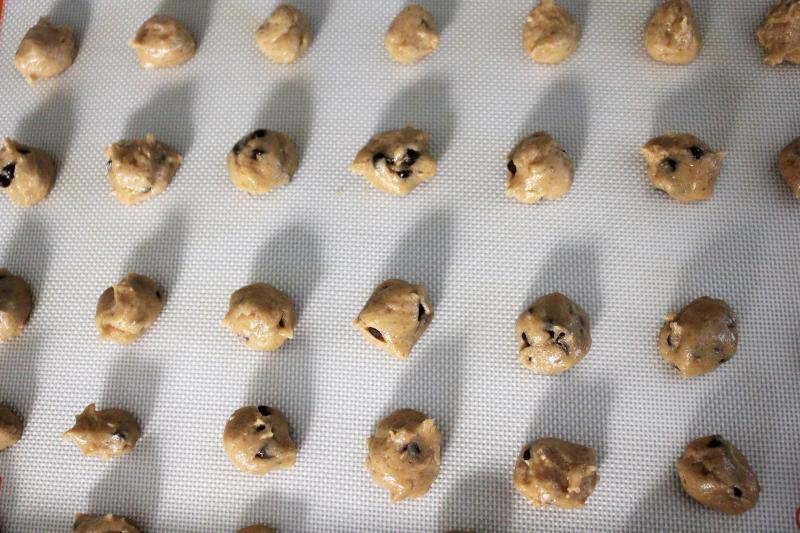 Add in your chips, then scoop little balls onto your prepared baking sheet. Bake for 5-6 minutes. I would recommend sticking these in the fridge for 30 minutes before going in the oven, but that's just me. After they're cooled, they are ready to plate up and serve!